One of my favorite feelings is trying a new recipe and it coming out great! As I’ve mentioned before, I find cooking for others an act of love. Whether its for friends, family, or just my hubby and me, I think its such a wonderful act to turn a bunch of individual ingredients into a yummy meal for others. Plus it’s definitely an act of serving… especially as you do the dishes! Anyways, I made a new recipe for our family this week and according to Ryan it was the second best thing I’ve ever made (Jerk Chicken is still in the lead! Get that recipe here). *I found “Better Than Bullion” from Sprouts and prefer this over cubes. 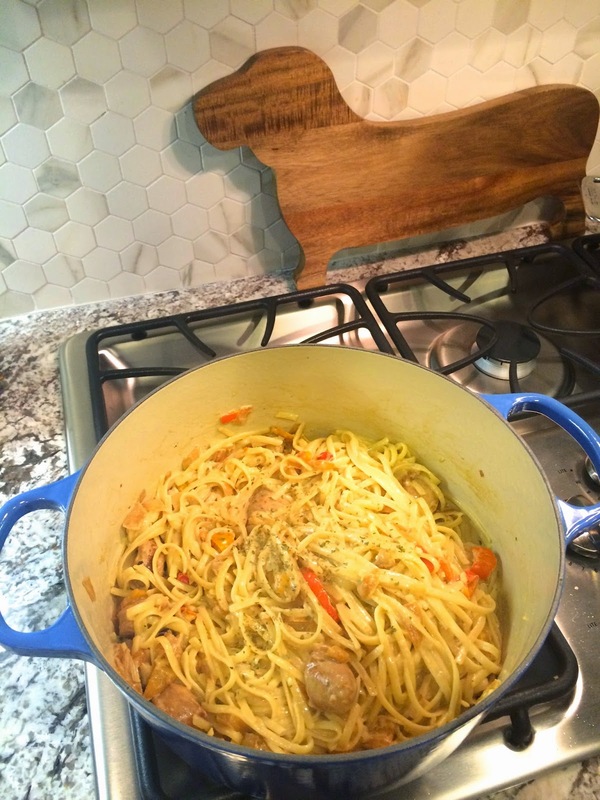 It has a ton of flavor and made a difference in this dish. I have since seen it at a few different markets and its definitely worth a try. If you use this, you only need about 1 tbsp. You can also just use broth. 1. Prepare your ingredients. 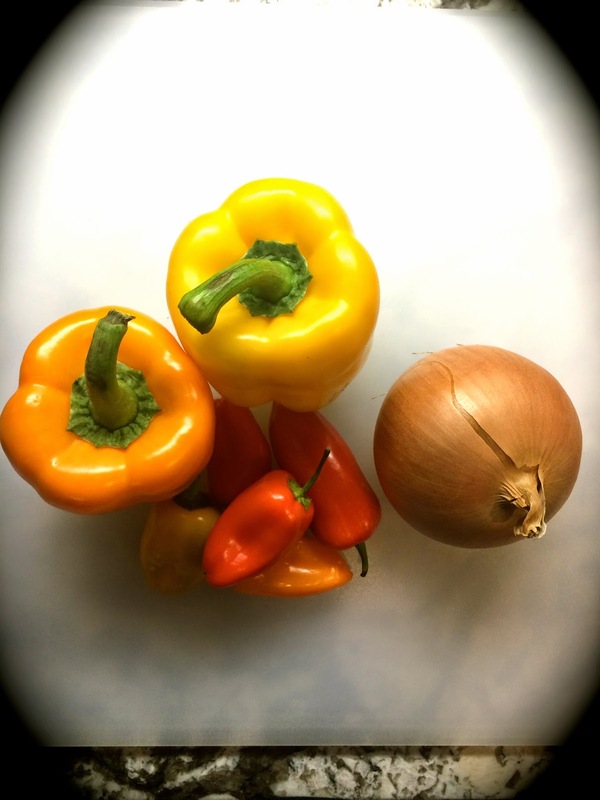 Cut peppers into small rounds and bell pepper into small pieces. Chop onion to equal size pieces as other veggies. 2. 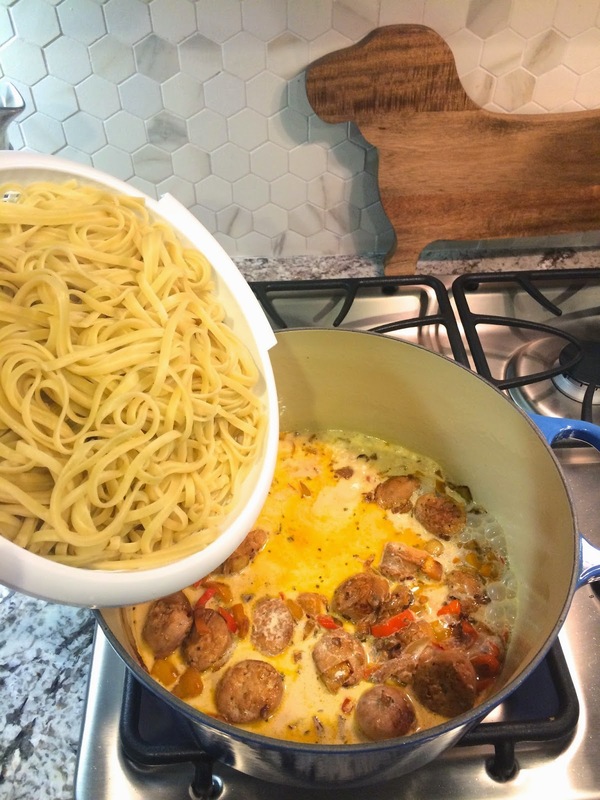 Add olive oil to your pan (I started with a large pan and eventually moved to my dutch oven. Looking back I’d just use a dutch oven… Way easier!). 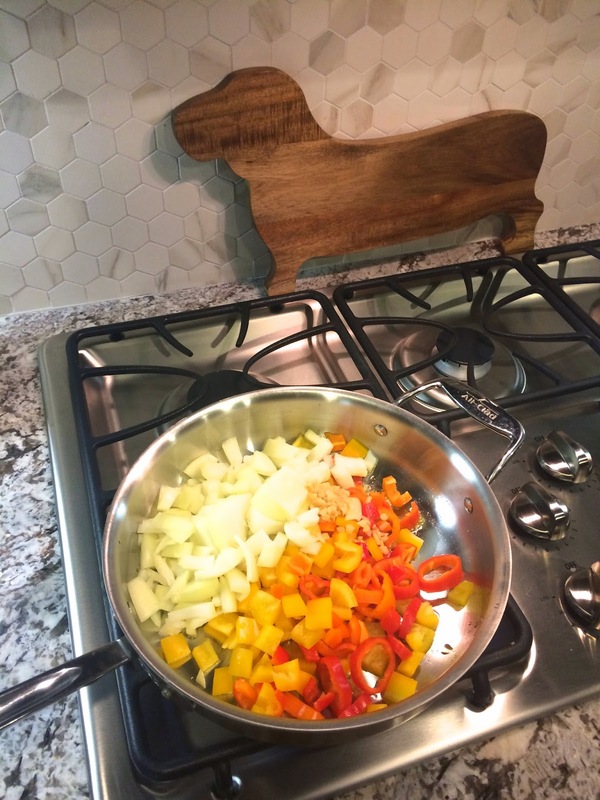 Saute oinion, sweet peppers, and bell peppers in the pan until about ¾ done. Add sausage to the pan and cook until done. 3. 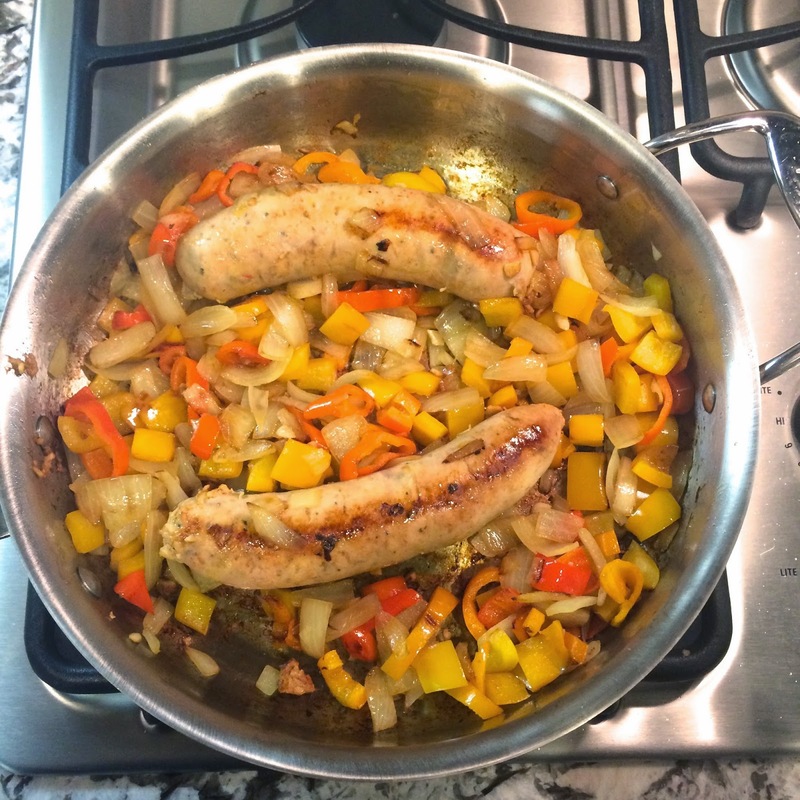 Remove sausage from the pan and cut on a diagonal. Return to pan. 4. 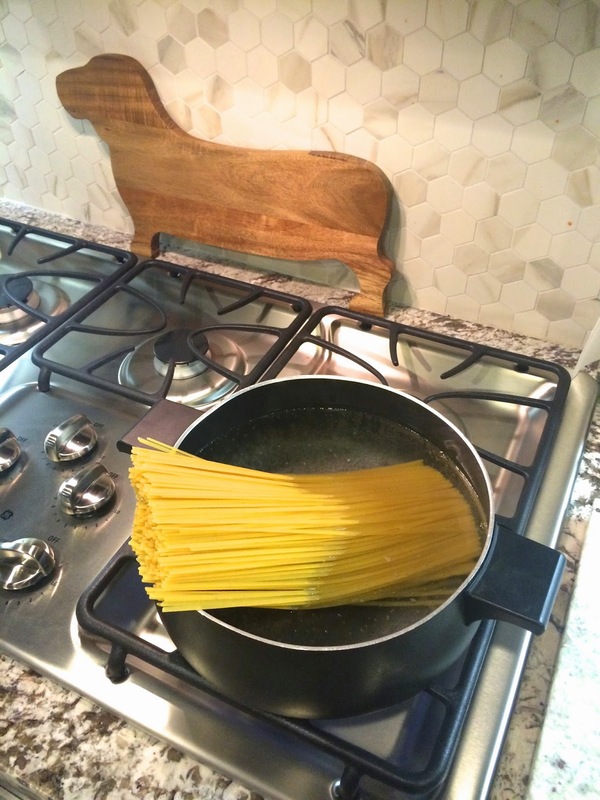 Meanwhile, cook pasta to package directions. 5. Add pasta water + bullion and combine until mixed. 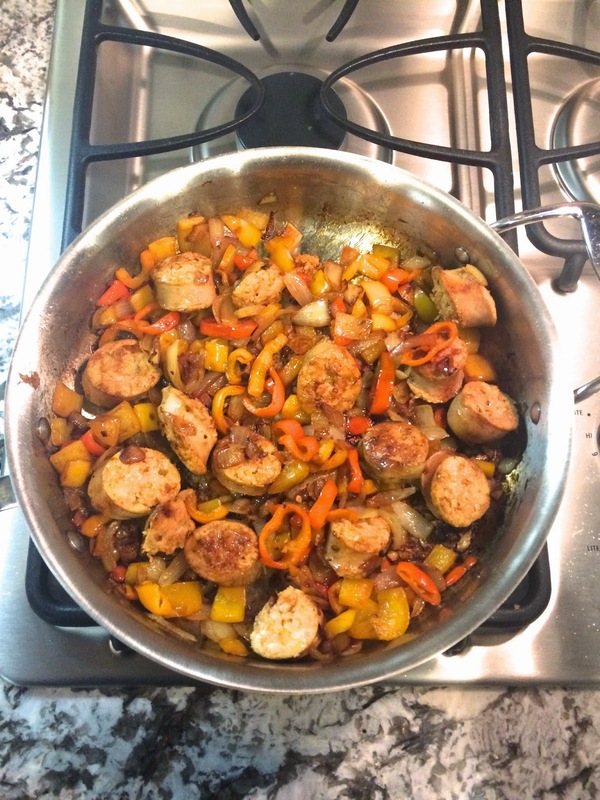 Add the mixture to the pan with the peppers and sausage. 6. Add the cream to the pan as well. Stir to combine. Mixture will begin to thicken. 7. Add cooked noodles, parsley, and garlic to the pan. Toss to combine. *We don’t like tomatoes but adding some halved cherry tomatoes would be good. We topped with shredded Italian cheese blend.